During the last two years we have been working together with the Oceanica NGO and researchers of the Institut de recherche pour le développement (IRD, France) and Universidade Federal de Pernambuco (UFPE, Brasil), in a project funded by the Fundação Grupo Boticário. 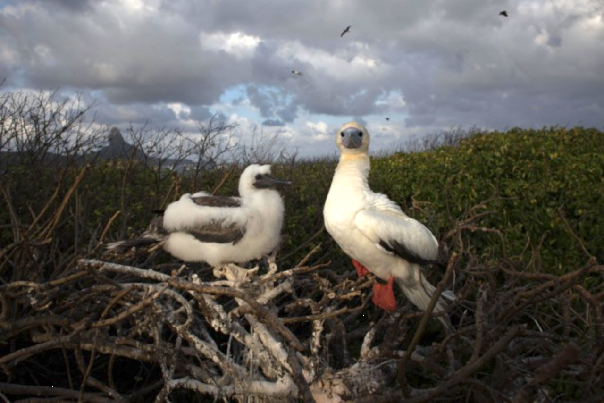 The project took place in Fernando de Noronha (FN) archipelago with the main goal of identifying vulnerable ecological areas for seabirds of FN, which is an oasis of marine life in relatively barren open ocean. Indeed among others remarkable biological features, FN accommodates the largest concentration of tropical seabirds to be found in the Western Atlantic Ocean. FN is protected by two different categories of protected area, according to the Brazilian legistlation: an APA (environmental protection area) covering mainly terrestrial ecosystems since 1986 and a marine national park, covering 112.7 km2 of the archipelago, since 1988. Since 2001, the APA and the core and buffer area of the national park were listed as World Heritage by UNESCO. During these years, Sophie Bertrand, responsible for the fieldwork activities, and her team collected data on red footed boobies (Sula sula), brown boobies (Sula leucogaster) and especially masked boobies (Sula dactylatra) species. In particular, the team has tagged several individuals with GPS, dive and accelerometer recorders to understand feeding areas and marine behavior during critical periods. This requires capturing the same bird twice, once to deploy the equipment and a second time to recover the device and the data recorded. 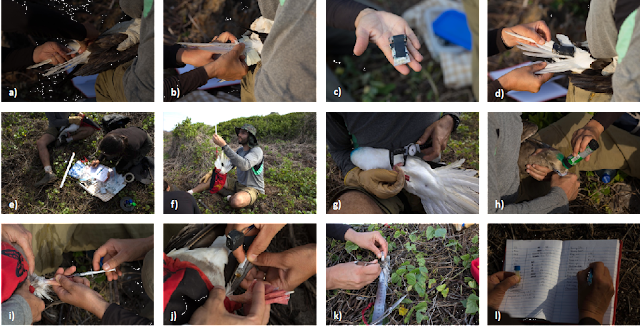 In addition, at each recapture, animals were measured and biologically sampled (including prey regurgitated). Those biological samples will be analysed by isotopic analyses for identifying their trophic niche (N and C isotopes) and for estimating global biocontamination (Hg isotopes). Among the top predators of the ecosystem, there is also the artisanal fishery of the archipelago. This is a small fleet (less than 10 units) that mainly fish with live bait (the 'sardinha' or the 'garapao' whose schools frequent the islands beaches). 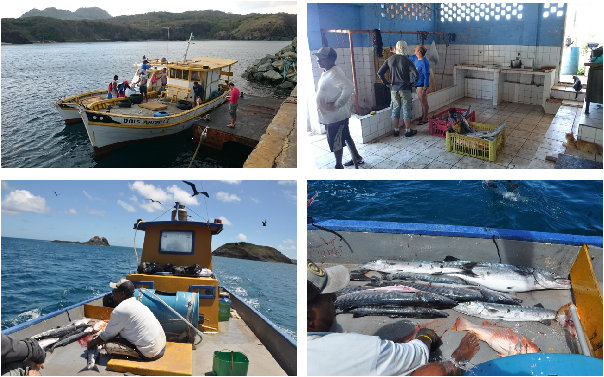 The fishers' catches consist mainly of barracudas, but also of some jacks, tuna and snappers. During the project two crew members boarded periodically with fishers to document main fishing grounds, fishing activities and catches. By analyzing both the bird and the fishing data, we hope to better understand how the structuring of marine habitat conditions the behavior of seabirds, and how they are orienting and feeding in what appears at first glance as a big blue desert. This knowledge should also feed into a reflection on the relevance of different tools for their conservation.